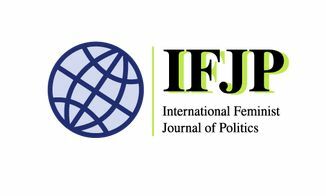 We are delighted to announce that the Pontifical Catholic University of São Paulo (PUC-SP, Brazil) will host the second 2019 IFJP Polycentric Conference on the theme “Gender Violence and Feminist Resistance in Latin America,” October 17-19 in São Paulo, Brazil. The conference will address issues concerning the rearticulation of forms of violence against women and other feminized bodies in contemporary Latin America. Gender violence in the region has been on the rise despite the advance of legal protections. These dynamics have spurred important regional articulations, such as the Argentinian collective Ni Una Menos (Not One Less), which rose historically against femicide and male violence in the country and has been a source of inspiration for building a transnational and intersectional feminist agenda. In its wake, feminist articulations in the region have been offering the opportunity to create solidarity across multiple issues and movements that are trying to resist the growing wave of political conservatism – including syndicates, leftist parties, the landless workers’ movement (MST, in Brazil), indigenous collectives, and soccer associations, among others. In this light, the conference aims to foster a productive reflection on how the increasing number of deaths of feminized bodies in the region has been triggering the articulation of a broad feminist resistance, and what Latin American feminists – activists and scholars alike – have to say about the power of feminism to resist institutionalized gender violence and reconstruct the political sphere.